Locating an experienced New Mexico Court Reporter, scheduling a meeting space, booking a legal videographer, putting in motion all of the processes necessary for a deposition is a job in its own right. It pulls you from the essential priorities you need to focus on in order to win your verdict. Finding all of the right personnel, and locating the proper resources in a remote location with no guarantee of quality professionals to fulfill the job compounds the normal headaches into a logistical migraine. Instead of multiplying your workload, eliminate all of the stress and get better results. Discovery Litigation Services’ video streaming-enabled court reporters put a New Mexico court reporter anywhere in the state. Don’t limit your selection pool to what is “nearby”, and start choosing from the best stenographers regardless of your location. The court stenographer is just the beginning of what we can offer. 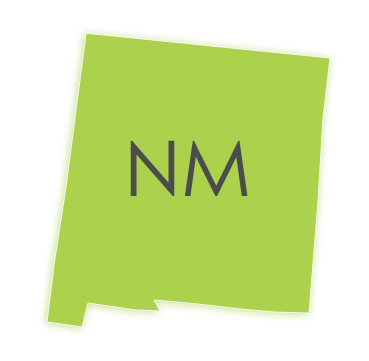 You need legal solutions as diverse and rich as the culture of New Mexico. Court reporters, arbitrations, and mediations, and skilled legal videographers are just a few litigation support services Discovery has to offer. You can probably find other New Mexico Court Reporters or an agency that will staff a deposition or corporate proceeding, but your court stenographer is just one piece of the pie. What about a legal videographer, scheduling a conference room for the deposition, coordinating individuals’ schedules, finding qualified interpreters, setting up a high-definition streaming feed to remote parties? What about everything else that goes into the process of putting together a successful deposition or hearing? Discovery Litigation Services offers a full-service solution to all of your litigation needs. Do You Know Where To Find A Chinese To Spanish Interpreter? Discovery Litigation Services will satisfy all of the requirements of your legal proceeding. If you need a Chinese to Spanish Interpreter in New Mexico, we’ll provide that with a skilled and accurate interpreter. Maybe your case requires a real-time feed for effective interpreting, Discovery has the solution. Discovery Litigation Solutions provides interpreters everywhere, in any language the world over. With our network of skilled interpreters at your disposal, your deposition is in good hands. Don’t limit your hiring to what is available. Get highly rated professionals, and the most qualified interpreter regardless of your deposition’s location. Discovery Litigation Services is a countrywide agency with offices from Atlanta, to Los Angeles, across to New York, and everywhere in between. We have your litigation resources. Discovery Litigation Services will cover all of your interpreting, mediation, arbitration, and trial presentation needs. Our primary reason for existing is to provide you with quality solutions to satisfy all of your deposition and corporate needs. With Discovery Litigation Services in your corner, you can be free to focus on more important factors to bring a resolution to your case. Schedule a deposition and let us handle the rest.